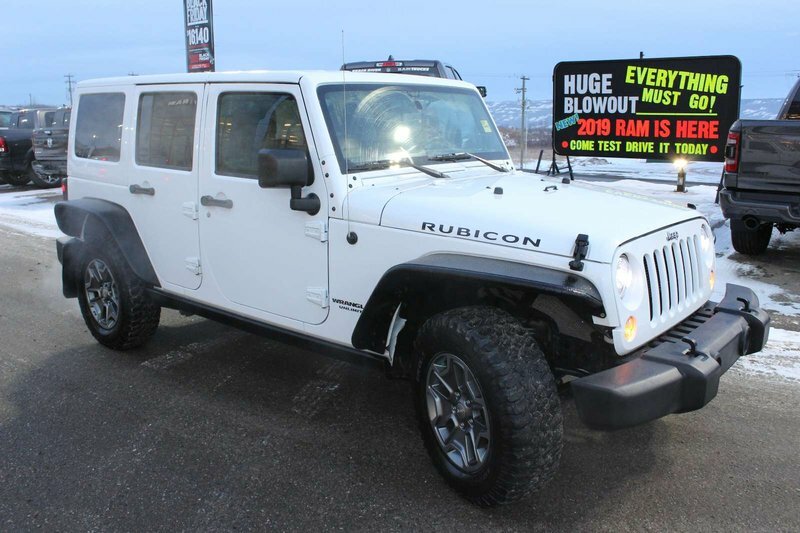 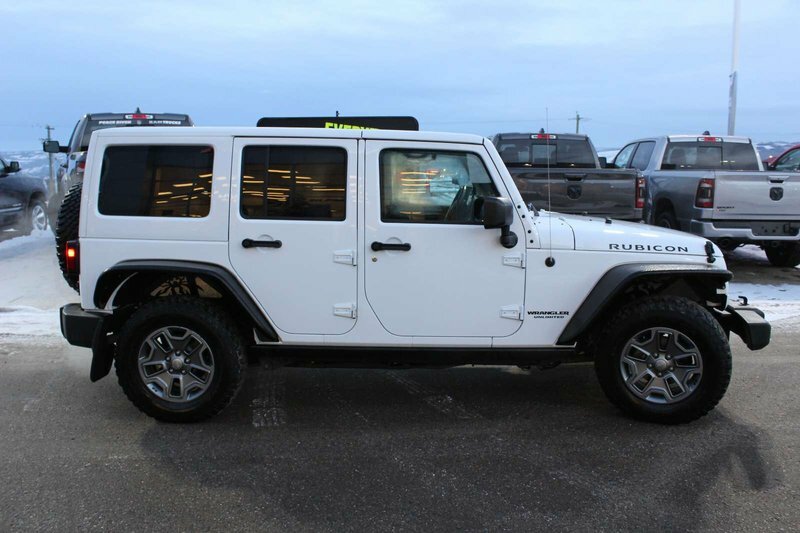 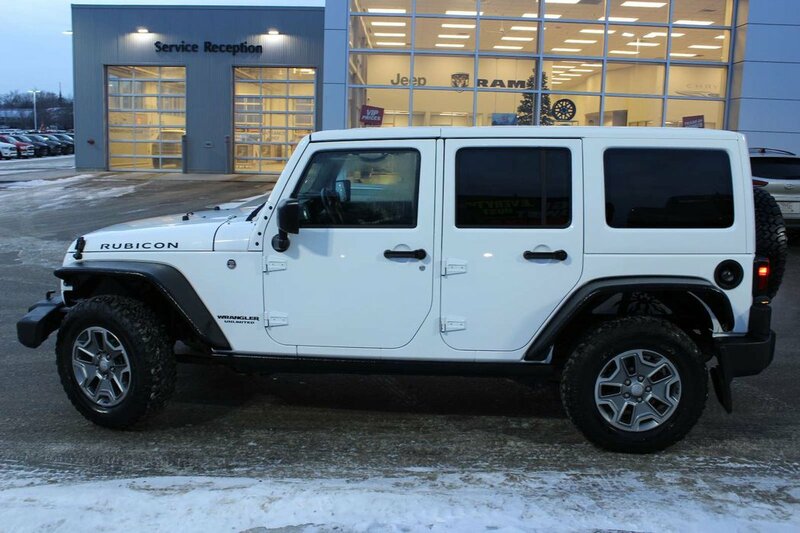 Practically unstoppable, our 2017 Jeep Wrangler Unlimited Rubicon 4x4 is bold and able-bodied in Bright White Clear Coat! 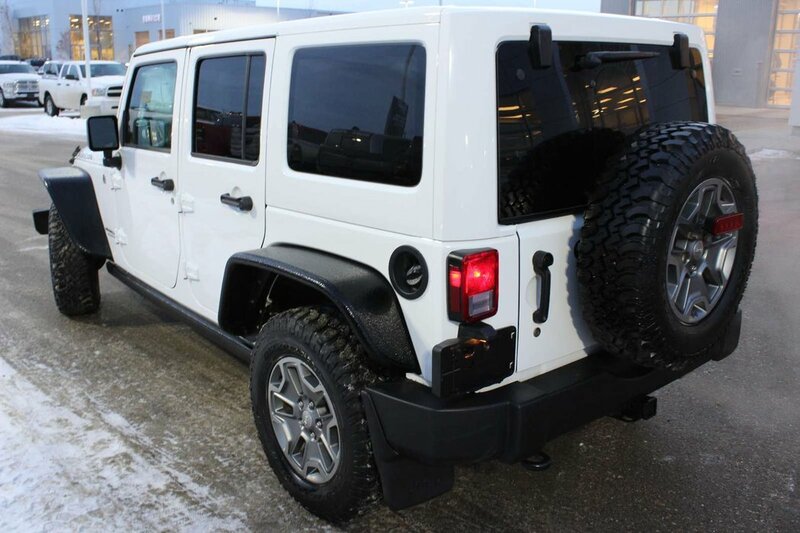 Powered by a proven 3.6 Litre V6 that offers 285hp and 260lb-ft of torque for outstanding low-speed crawling capability while connected to a 5 Speed Automatic transmission. 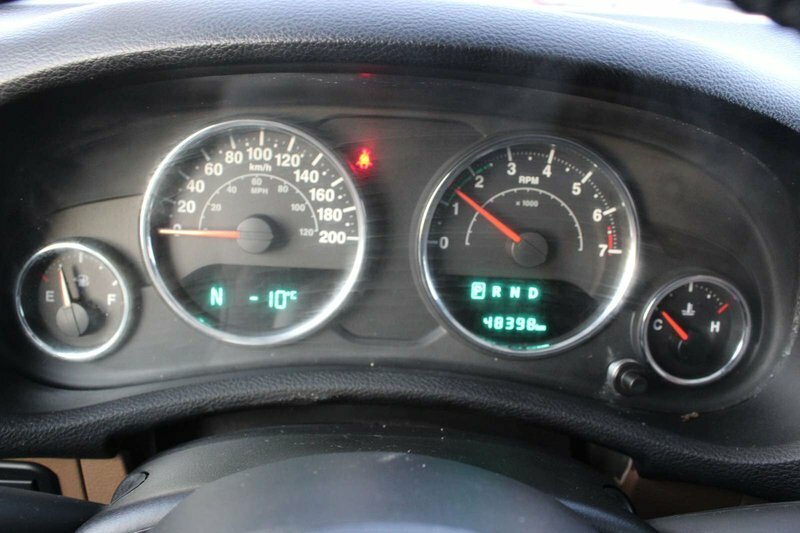 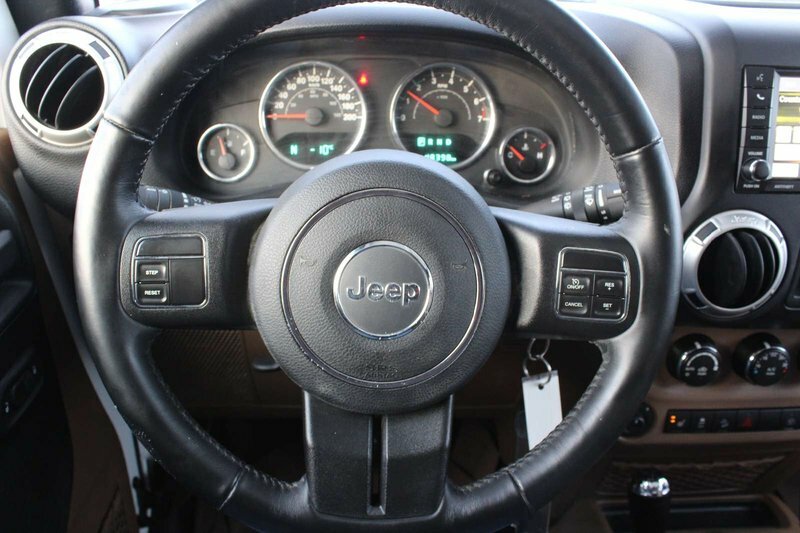 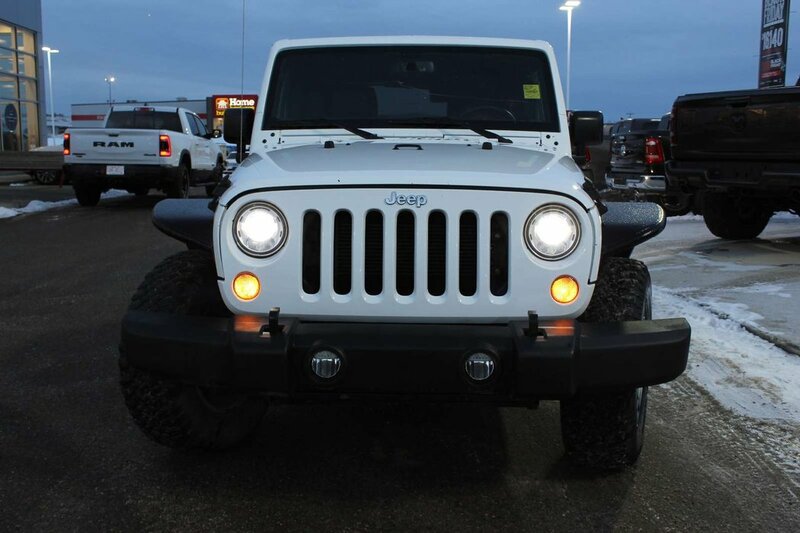 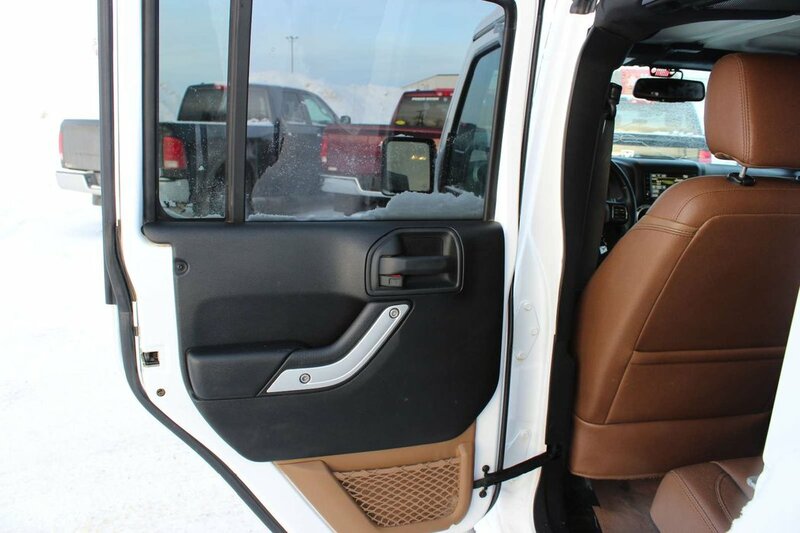 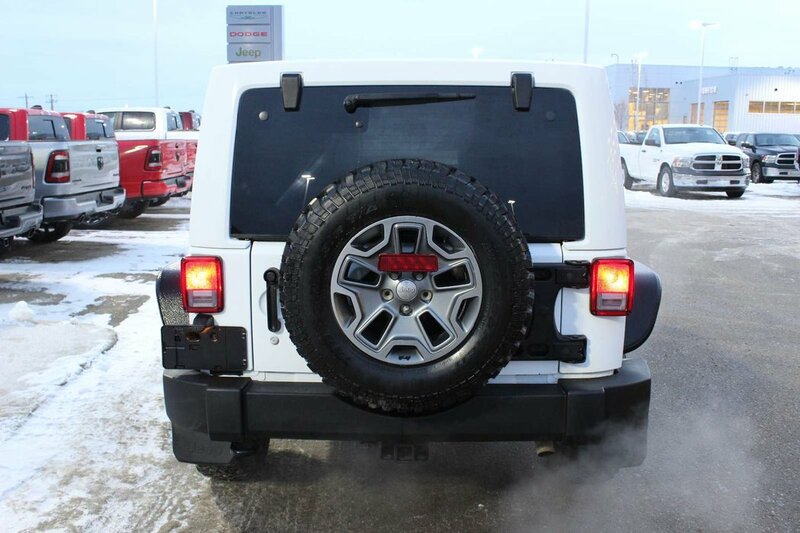 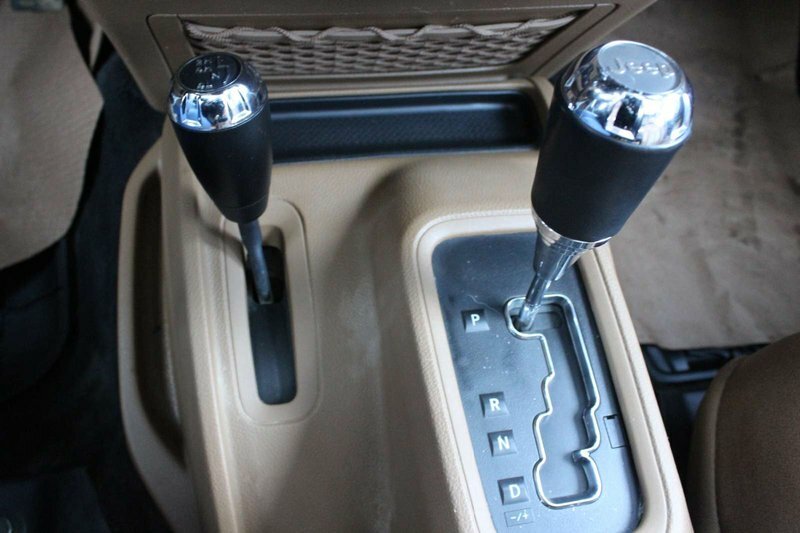 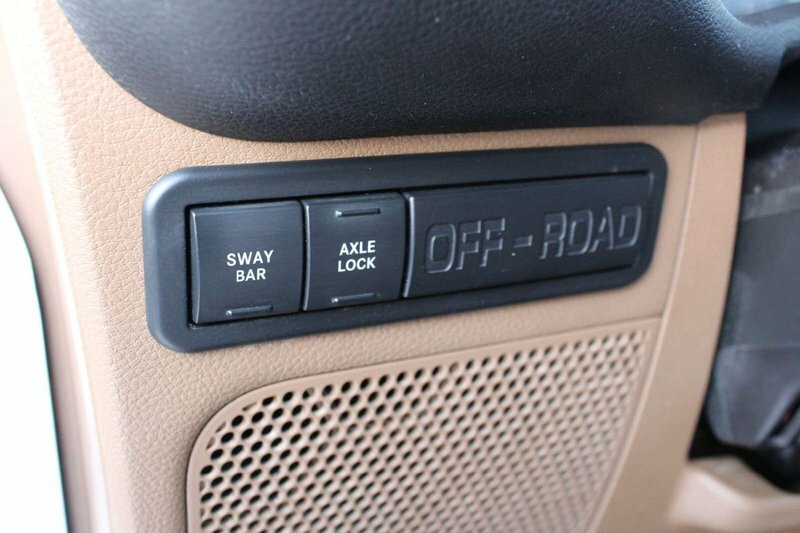 This Four Wheel Drive Jeep offers near 11.2 L/100km on the highway plus performance suspension, rock rails, transfer case skid plate, and Tru-Lok differential axles. 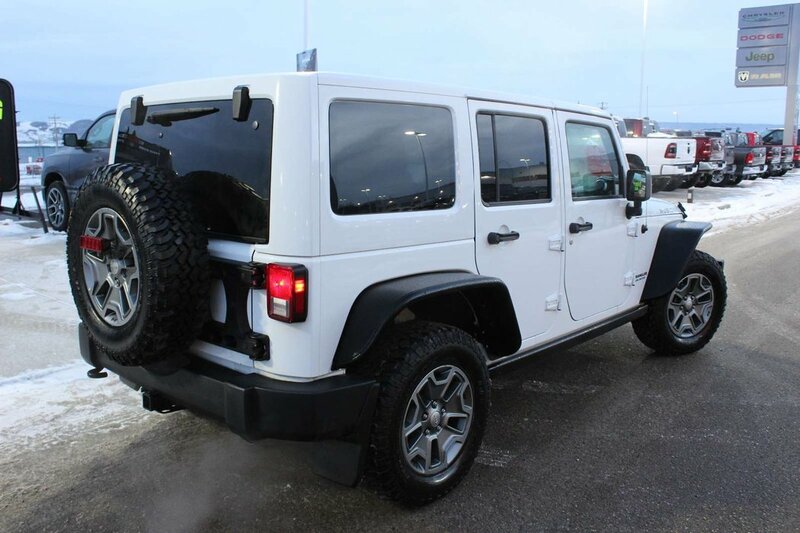 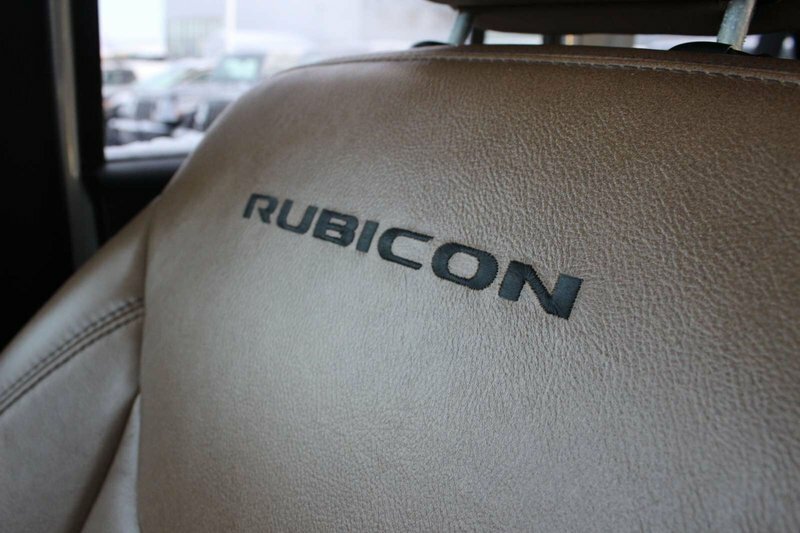 Our trail-rated sturdy SUV offers legendary off-road prowess. 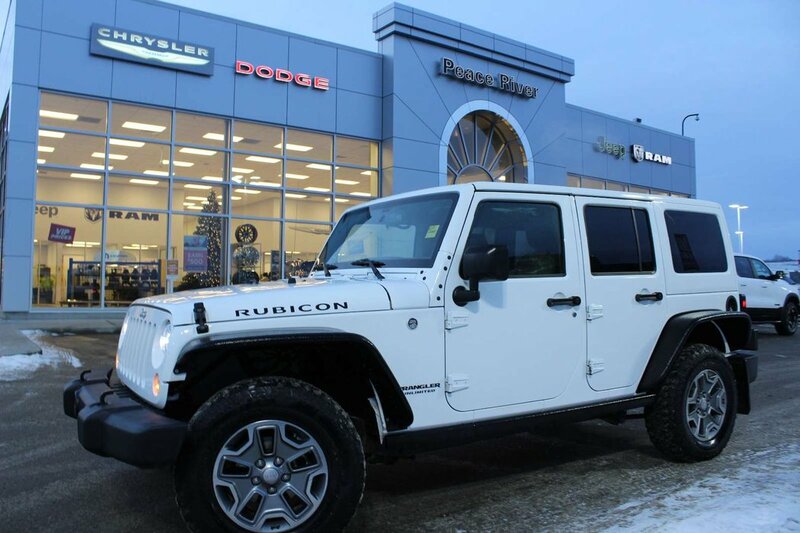 The embodiment of confident capability, our Jeep Wrangler Unlimited Rubicon commands any terrain with its imposing stance. 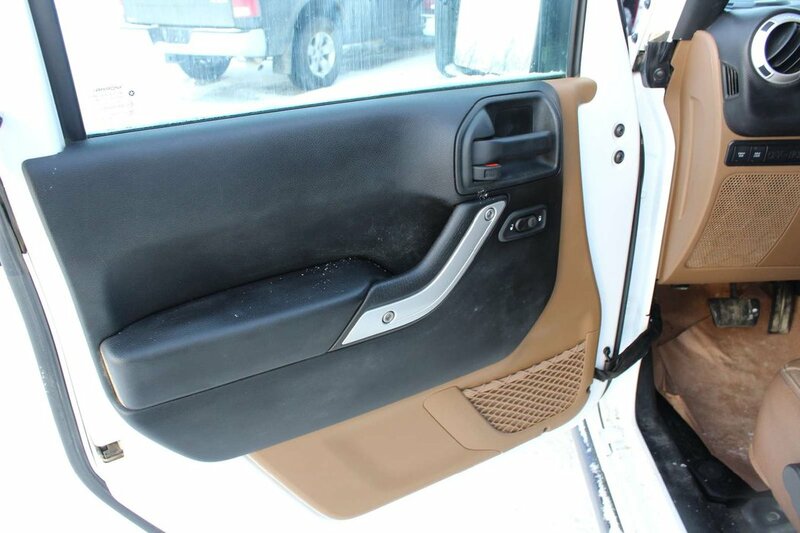 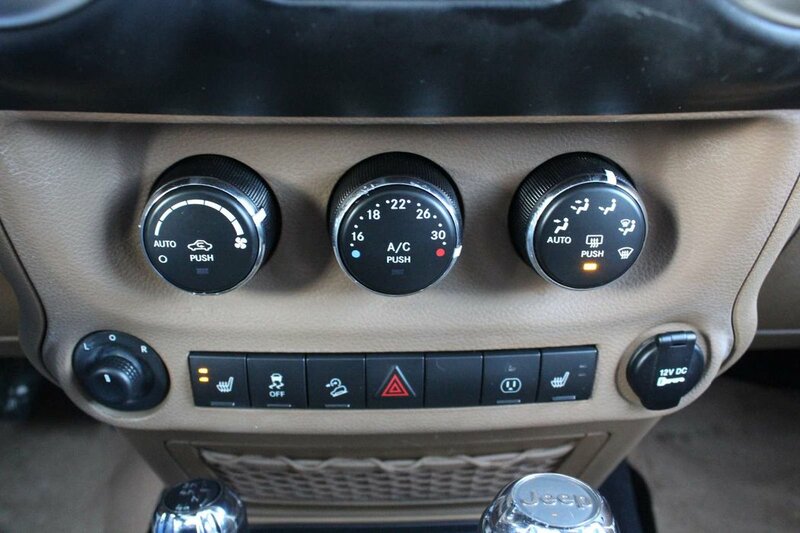 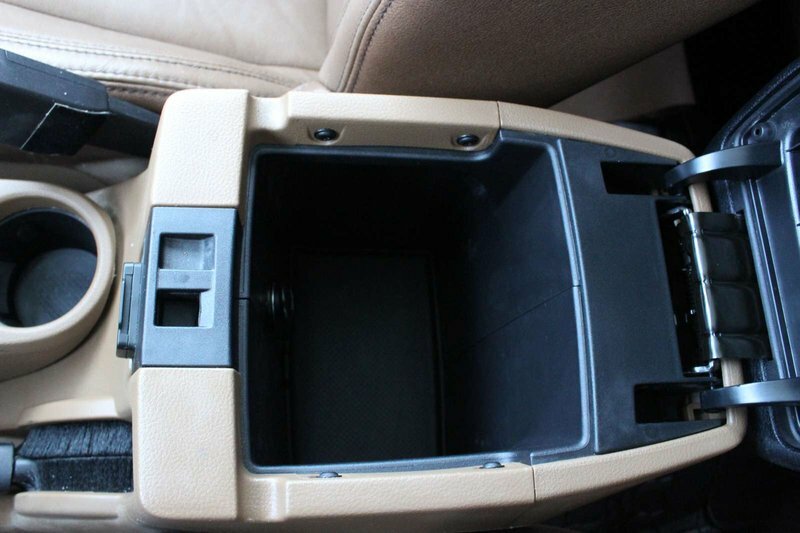 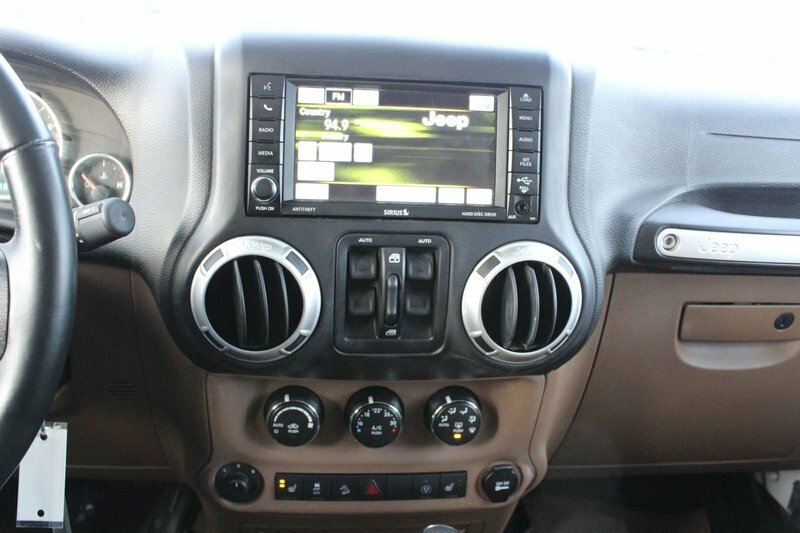 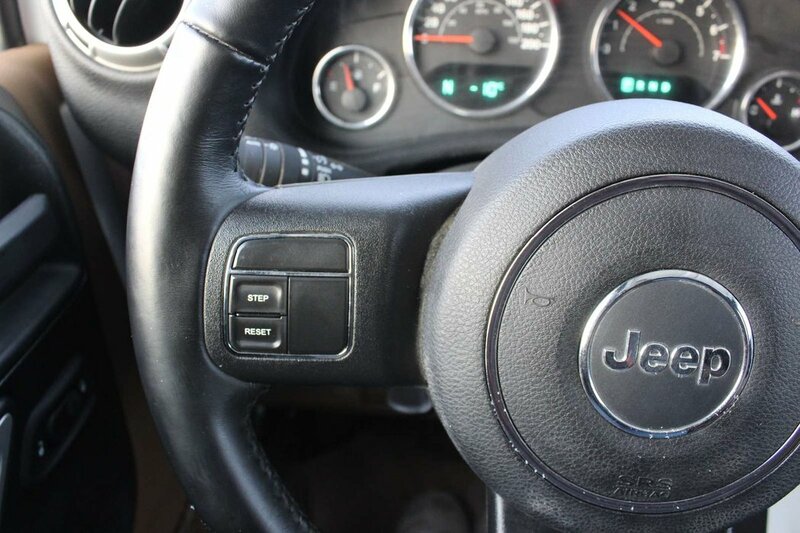 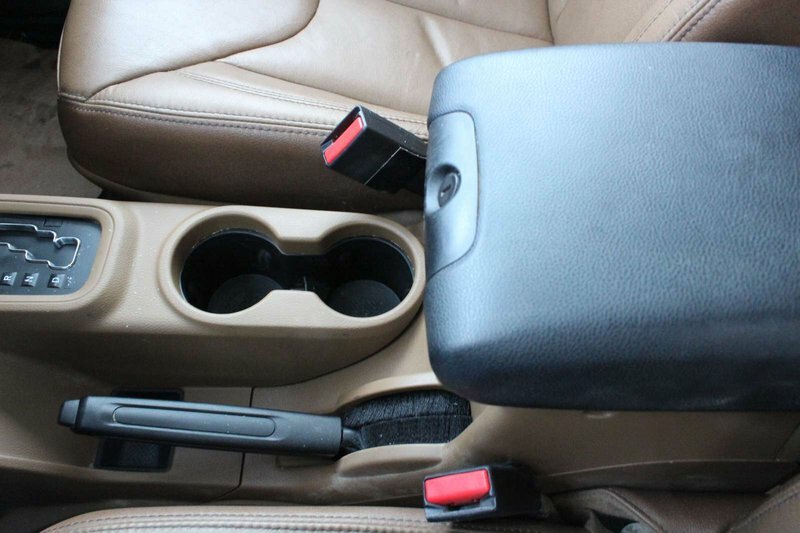 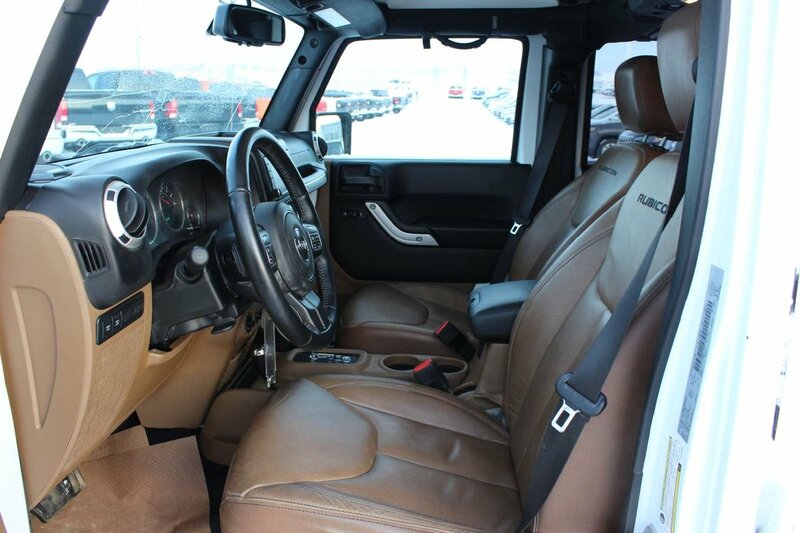 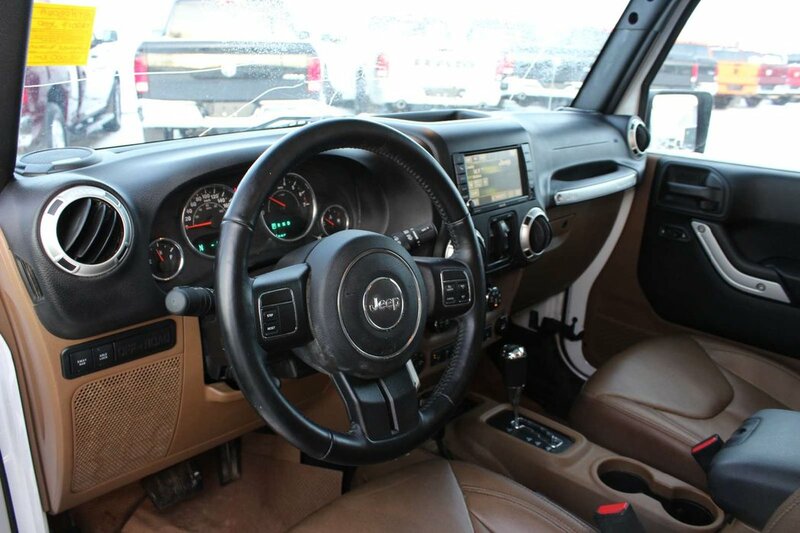 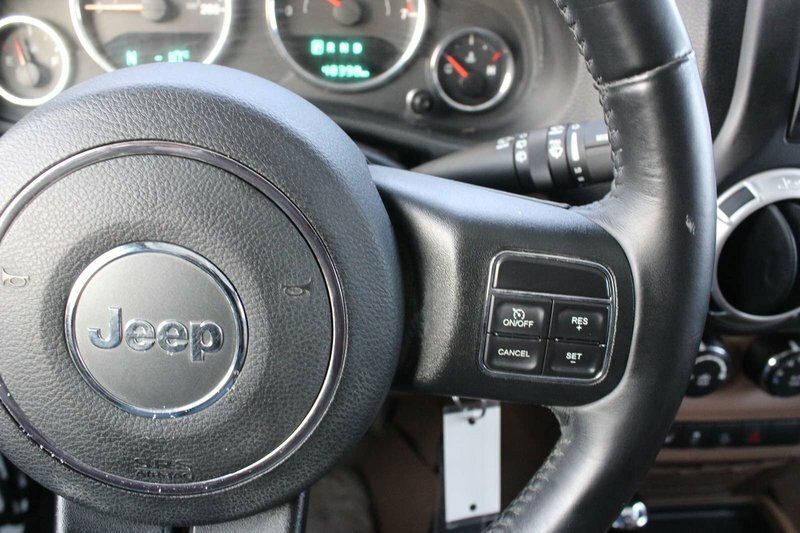 It's a fantastic blend of modern design and classic Jeep styling. 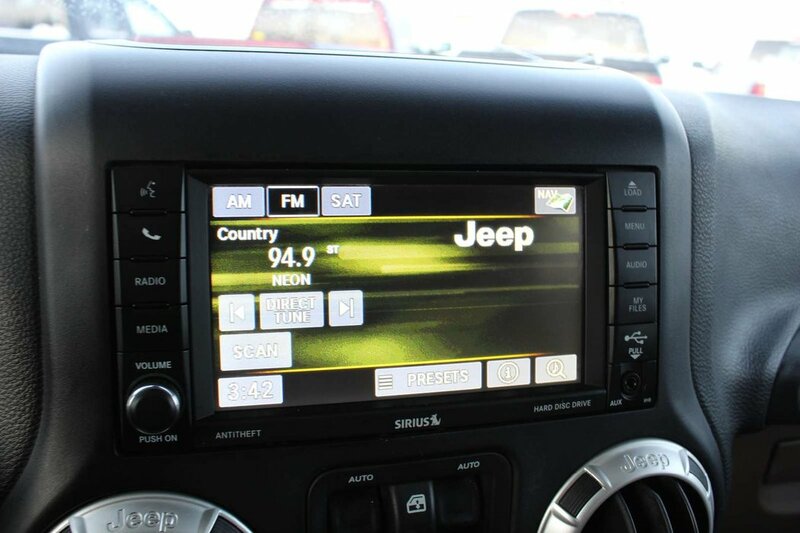 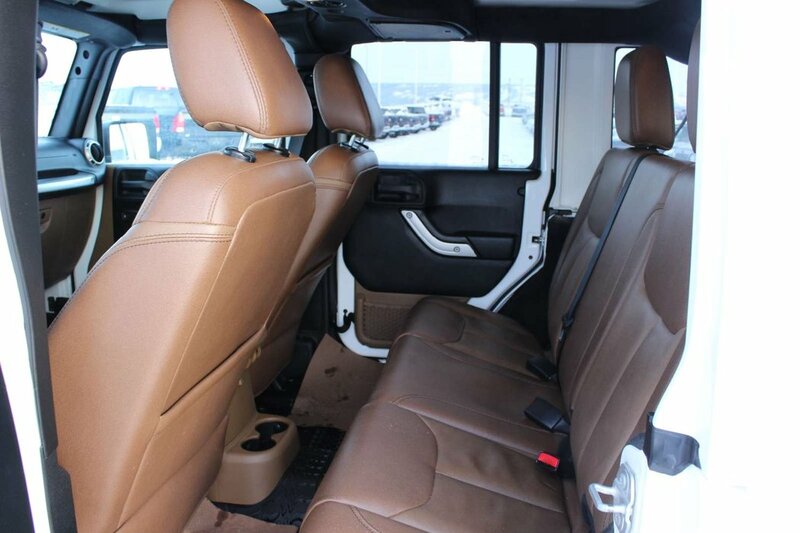 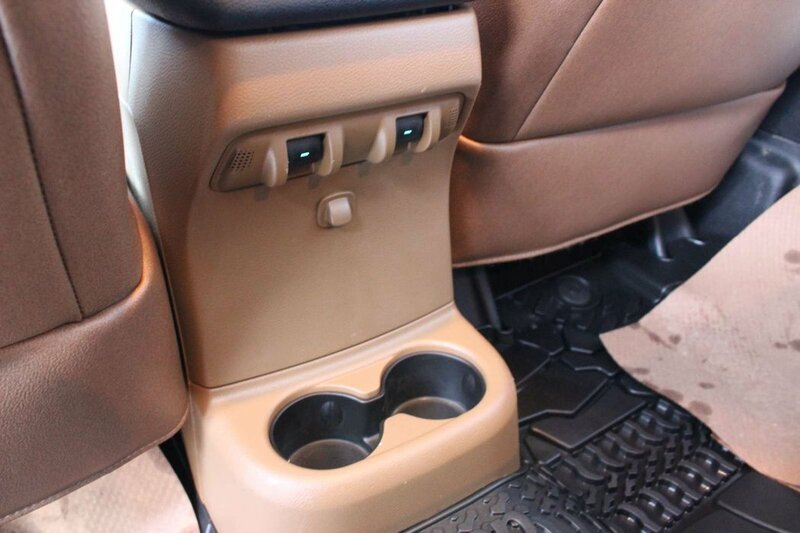 Imagine yourself behind the wheel of our four-door, five-seat SUV that features full metal doors, heated front seats, steering wheel mounted audio controls, remote keyless entry, air conditioning, power windows/locks, a color touchscreen display, and a terrific sound system with available satellite radio.